Out there, the are plenty of different Feng Shui Schools but I would definitely recommend CAFS as the starting ground to learn the right way in applying Flying Star Feng Shui because Alan really spent time in explain the logic and reasoning behind certain principles of Feng Shui which other Feng Shui masters would most likely leave you hanging. The last day of the course, we visited 3 places (1 Apartment, 1 House and 1 Shopping Mall) and it was great to see how theories of Feng Shui can be translated into practice. Most importantly, Alan also taught me how to use the lou pan correctly, when I had troubles finding the Facing and Sitting of the house and also on holding the lou pan correctly (lol). If you are serious in the practice of Flying Star Feng Shui, this is a course you must not miss. Why? This book 二宅实験 (Er Zhai Shi Yan) is the 3rd book of all the cases done by Master Yen Pen @ Eu See Yin on both Yang and Yin Cases recorded by his disciples. 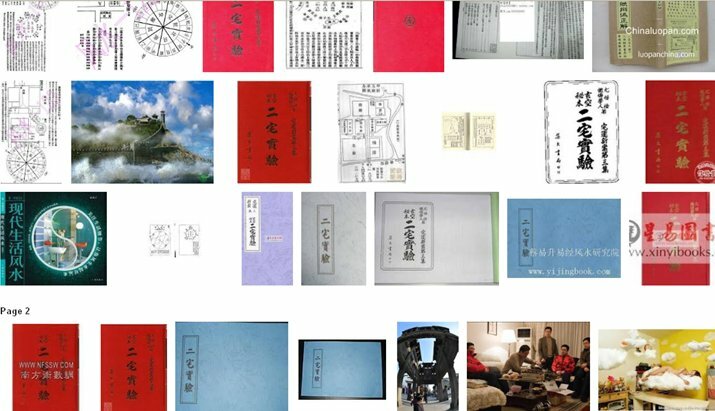 The first 2 books are called Zhai Yun Xin An (New Case Study of House Feng Shui). Here is an article written by Master Issac Chung. In fact if you search in the Internet on images alone this is what you will see..
All these books are the favourite collection of Masters around the globe and I bet if you visit the private study rooms of Masters, there are sure to be a copy there especially those Chinese Literate masters. However, how many is able to fully interpret the book? This is something I know is only a handful unless they are our graduates. What is special about this book is that, inside are all the real case done and results obtain but more importantly it has doctrinated the advance theories of Flying Star Feng Shui. Only a Master from the same Lineage is able to understand what are the hidden secrets inside this book. 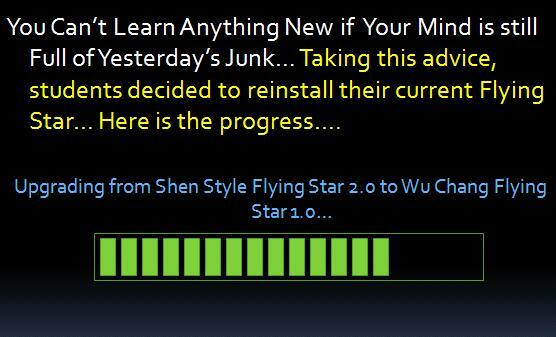 This is not another Flying Star Feng Shui course, this is one and only unique to CAFS. No way you can equate with other Flying Star courses. This case study itself, you will learn how to lay a good feng shui formation that is proven, pin point the timing of happening and what is really a sha qi, the compartmentalise of a house and the application onto a plot of land. Without going through this course, you cannot call yourself a Real Flying Star Practitioner. Next, I share 2 reasons and cases. Most schools today like to mix and match systems. E.g. 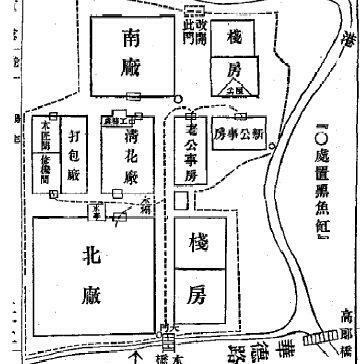 they mix 8 Mansion (Ba Zhai) with Flying Star or Mix San He with San Yuan Flying Star & call it Zhong He. They then sell this idea to newbies that they are merging the best of the 2 worlds like you try Western and Eastern medical methods to cure a patient. First of all, Feng Shui don’t work in this manner because they are founded on 2 different systems & it is more like trying to merge 2 religious believe together. Try imagine this, a couple from 2 different religion holding on to their believes and try to bring the best out of 2 religion after marriage. Perhaps there will be an emerging 3rd religion if they ever survive this as a couple. A likely result from this is the proliferation of different arts each trying to explain what they cannot explain in their current learning. Today Chinese Metaphysicians are going after Qi Men Dun Jia Divination, Yi Jing Feng Shui, Zi Wei Feng Shui, 8 Mansions, Symbolic or play it down or up on “Internal Feng Shui” in an unending cycle trying to search the truth why this and that happened. Why sometimes I get the result and other times nothing happened or it had gone bad? When the fundamentals are not correct, how do you expect to have the correct results? I have no issues if people wants to learn more but first get the fundamentals right. We had a case, a client for Yin Feng Shui that the husband passed away after about 9 months living in the new house done by 1 famous feng shui master. After the burial was done, we had chance to speak to the lady who was so traumatized at the passing of her husband aged late forties. We persuaded her to show us the house but at first she was reluctant but later she agreed to show us the house where the husband passed away after a heart attack. We were surprised that the bed was aligned 45 degrees and was in a 9-5 position in a 9-2. (if you dont understand this, it is understandable as this is unique in our course). We know that the master was a practitioner of mix and match system. If you think mix match is funny, think again! Feng Shui can get people into trouble if it is not done correctly. On another case, we have a student who only studied 2 courses from Master Leyau, Flying Feng Shui and Advance Flying Star (Er Zhai). After graduation, he did the next 10+ cases and his friends/relatives was astonished how he can tell the house and the occupants so well! This was the testimonial he happily gave Master Leyau. I am not bragging. I am only telling what was told to us by the student himself. I cannot lie for lies will be exposed someday and there is no need to do so. Real conviction comes from real experience. It is not the problem with the art nor the student nor the master. It is the combination of the Right Knowledge from the Right Master then you will be the Right Student!. I know most students are frustrated but actually they don’t have to, really! .When you acquire the right knowledge, your skills will be apart from the rest because you and your family deserves to have a better life. Don’t miss this! Read on to know what you will be getting in a complete San Yuan Flying Star system.